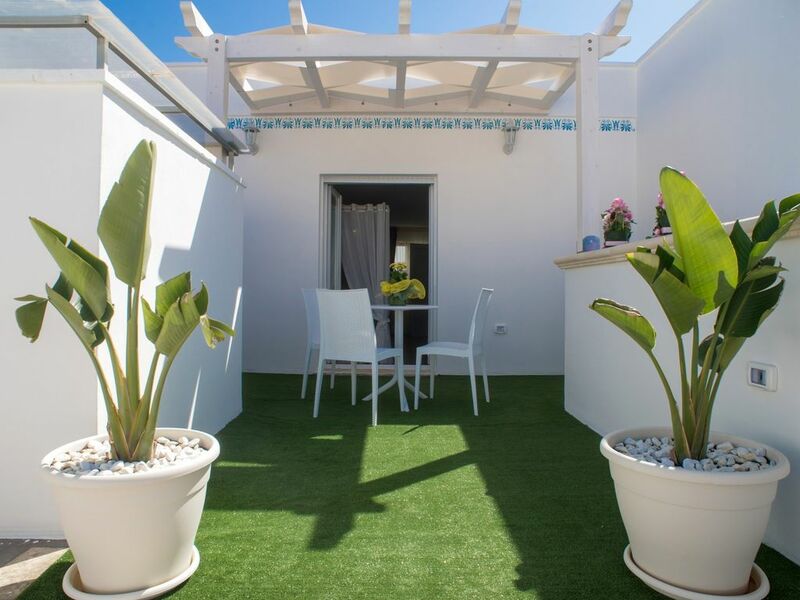 THE BED AND BREAKFAST SORGE IN THE TOWN STORIO DI TAVIANO THE CITY OF THE FLOWERS, THE STRUCTURE IS OF A NEW BUILDING WITH 6 BEDROOMS THAT DIFFERENTIATE FOR THE COLORS, THE CHOICE OF THE NAMES AND THE COMFORT. EVERY ROOM HAS HIS PRIVATE BATHROOM, TV, AIR CONDITIONING, FRIDGE BAR. ACCORDING TO THE CHOICE OF THE ROOM YOU HAVE THE VIEW OF THE HISTORICAL CENTER AND THE BEDS THAT VARY FROM 1 TO 4. THE OUTDOOR SURROUNDED A RELAXED AREA FURNISHED WITH SALPS AND TABLETS WHERE YOU CAN BREAKFAST AT THE OPEN AND RELAX WHEN IF YOU WANT IT.